General Hospital's Ryan Paevey to Star in a New Movie, Rumored Affair with Jessa Hinton, Dating Girlfriend? The news turned into a rumor as Jessa was dating Sam Asghari. General Hospital's Ryan Paevey to Star in a New Movie, Rumored Affair with Jessa, Dating Girlfriend? Ryan Jacob Paevey- Vlieger is an American actor and a model. He is widely famous for his role as Nathan West on the ABC soap opera "General Hospital". The handsome ocean-blue-eyed Ryan Paevey has already attracted numerous fans. After Ryan Paevey got spotted with Katy Perry and Cher, he then came in the spotlight. People are now keen to know whether the hunk is seeing someone or completely single. The handsome, humble, adventurous, Ryan Paevey successfully won the millions of hearts through his amazing acting skills in General Hospital as Detective Nathan West. He joined the show at the end of 2013 and became fans' favorite. He is all set to his success in the movie. 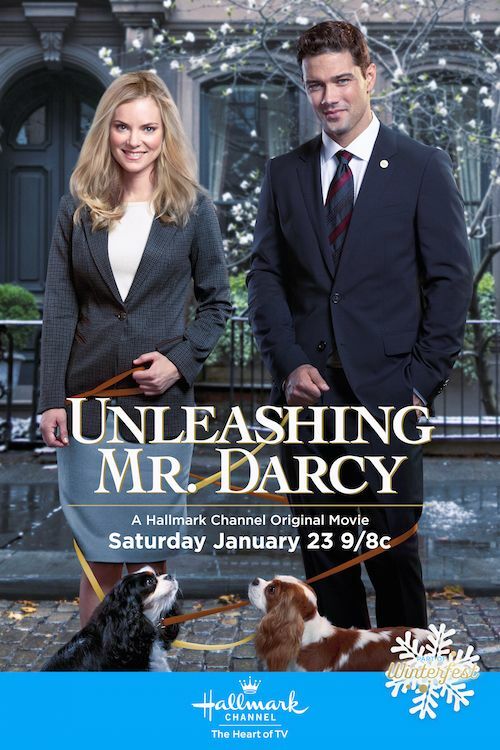 He acted in the Hallmark Channel movie "Unleashing Mr. Darcy" as Donovan Darcy. The movie is about the modern-day spin on "Pride & Prejudice". Cindy Busby is the cast of the movie who encounters Ryan Paevey's Donovan Darcy at the fancy New York Dog Show. Ryan Paevey in "Unleashing Mr. Darcy"
Now, after his successful movie career, he is now all set for the next one. He will soon be spotted in his new role as a villain in his upcoming movie. He revealed his hobbies are included in the movie that includes motorcycles and nature photography. I don't know how much I'm allowed to give you,"
"But I'm gonna be on a plane to Kentucky here in the next three or four days, and I'll probably be there for about a month." We all know that Ryan Paevey is always secretive while it comes to his personal life. Till the date, there is no any information of his married life, wife, and girlfriend ever broadcasted in the media. But when Ryan Paevey and Jessa Hinton tweeted back some tweets, many people assumed that the couple is dating. @JessaHinton Hey Jessa, huge fan. Can I get a follow? @RyanPaevey If that Jessa lady's your girlfriend, wowza! You 2 make a stunning couple! After these tweets, their fans started claiming that the couple might be enjoying dating each other. But soon the news turned into the rumors as Jessa was dating Sam Asghari. Sam Asghari is dating Britney Spears. Ryan Paevey once got linked with his General Hospital co- star Kristen Storms. Later soon the news vanished into the thin years after Kristen tied the knot with Brandon Barash. Seems like, the hunk is in love with his career. This might be the reason he managed to be on the peak.